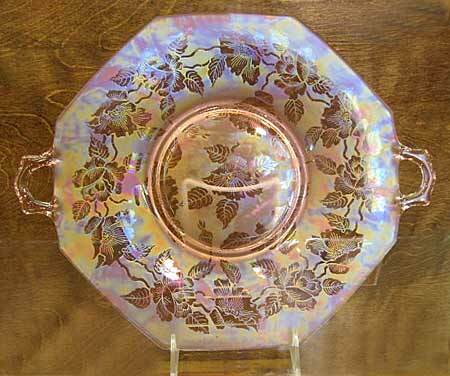 Once assumed to be Fostoria, this pattern is now believed to be either Imperial or Central Glass. 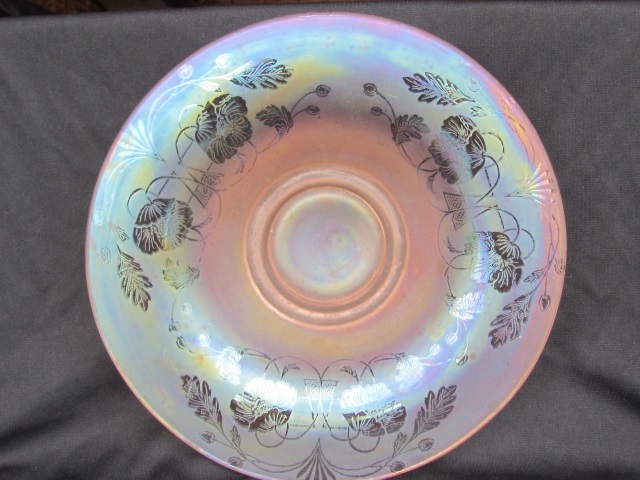 This pink Broaded Poppy plate sold in 2013 for $50. At the same auction, a center handle plate or tidbit tray in pink brought $175. Bob Smith owns a tumbler in ice green. In 1999, a large compote in pink sold for $250 and in 2002 a bulbous vase in pink brought $150. In 2014, a 12-inch handled cake plate in white sold for $80. 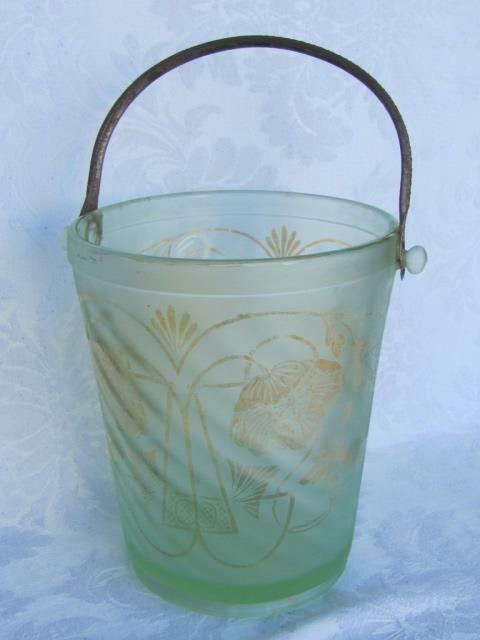 The same year a 7-inch compote in white with a rolled rim brought $15. Photo courtesy of Wroda Auctions.